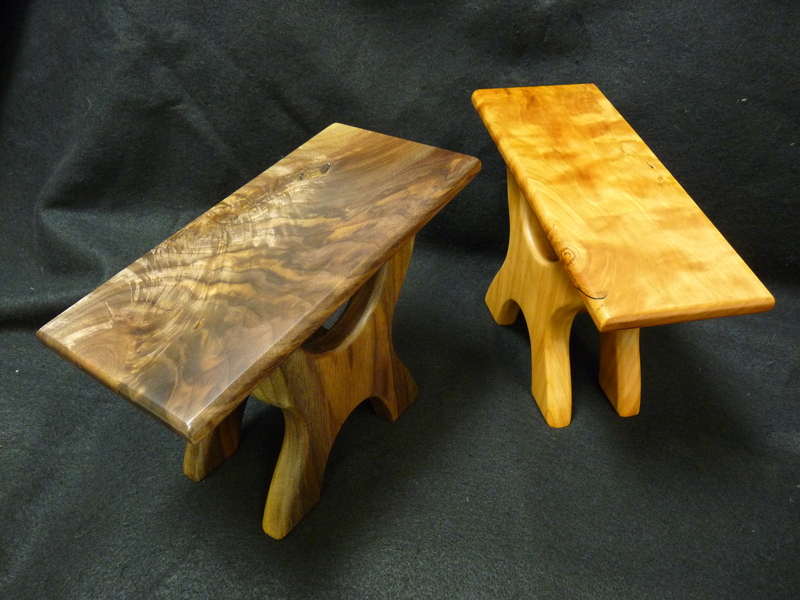 Guitar footstools made to order in various woods. 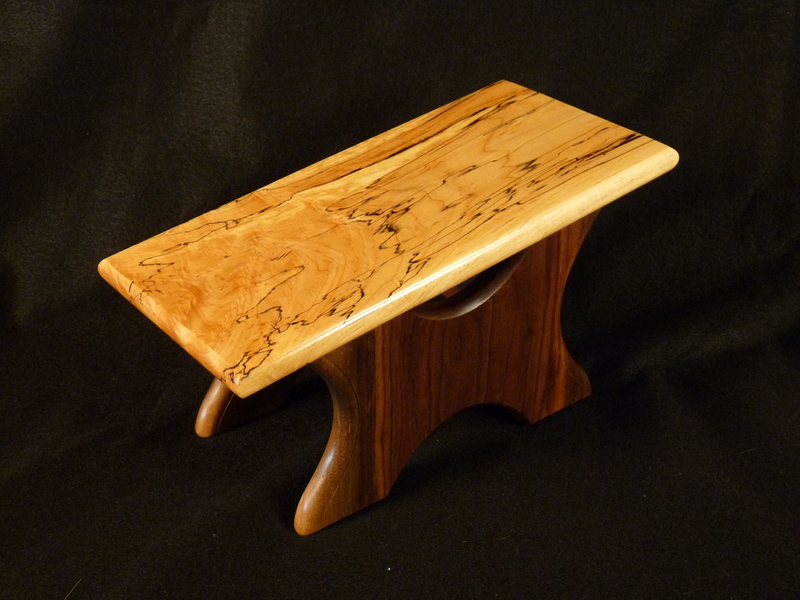 “Your foot stools are here and they are really beautiful! The grain in the woods looks great under finish–very cool to see that after seeing photos of the unfinished boards. You did a very nice job with these. Thank you very much for your work; they look so nice sitting in their respective rooms. This is a way better upgrade from those tippy black folding ones! 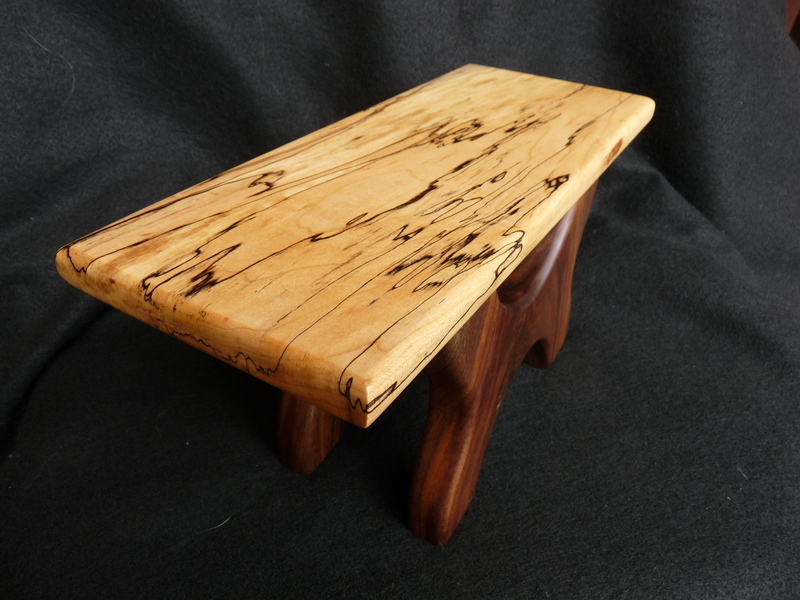 I will enjoy them for years to come.” ~ D. W.
“I just received the footstool…..it came out just perfect…you did a fine job on this.” ~ P. M.
“Footstool arrived today. Beautiful work. I almost don’t want to put my foot on it.” ~ M. T.
“Just to let you know the footstool arrived in terrific condition. It is just lovely, exactly what we wanted!” ~ B. O. Looking for a foot high, foot wide and two feet in length. What are the dimensions of this fine piece of work? I believe it was c. 6″ high, 5″ wide and 12″ in length. Anything bigger would be very unusual for a guitar footstool. I found your thread on the Acoustic Guitar Forum, with the situation. I, or any other woodworker, can certainly make something to your specs. Not a problem.